The Head Rebel backpack is a stylish and eye-catching choice for a fashion-forward player on the go. 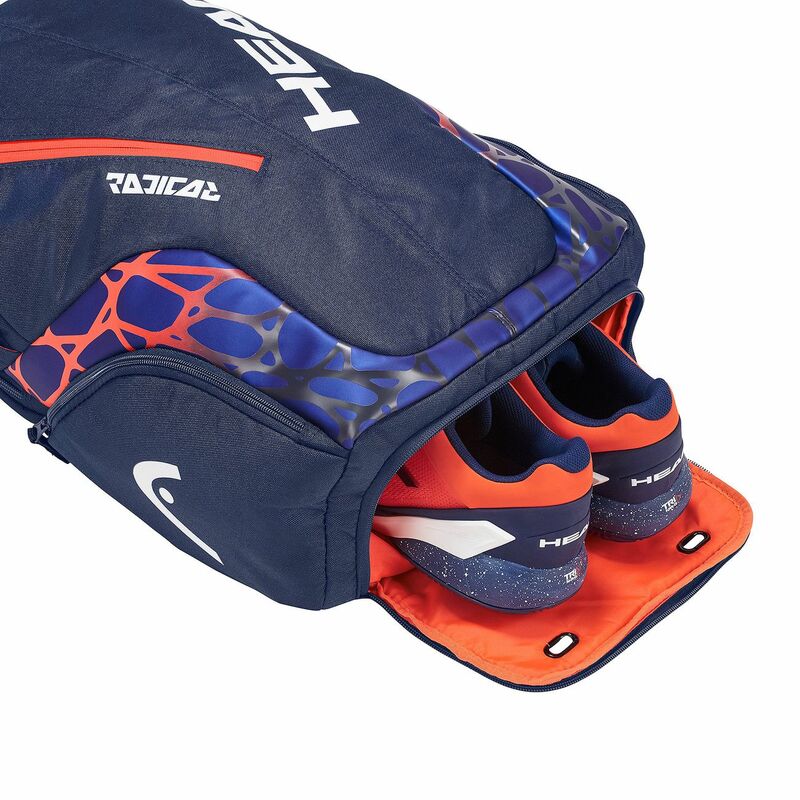 It offers a racket compartment to hold up to two rackets and a main compartment for your gear and apparel. There is also a special shoe compartment to let you keep your clothes away from dirty footwear and two side zipped pockets, as well as a front zipped pocket are great for accessories and smaller items. Carry the backpack comfortably to and from the court using a carry handle or adjustable backpack straps. for submitting product information about Head Rebel Backpack We aim to answer all questions within 2-3 days. for submitting product information about Head Rebel Backpack. We aim to answer all questions within 2-3 days. If you provided your name and email address, we will email you as soon as the answer is published. for submitting product review about Head Rebel Backpack.